That's of course the ‘corresponding’ picture to the Ardbeg picture from Lagavulin. 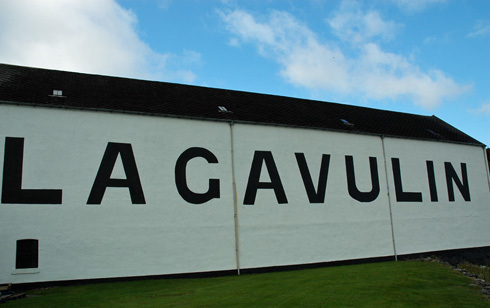 Not sure if that's from Lagavulin pier or the lawn below the warehouse. In any case, an impressive sight. As usual I will post a larger version of the picture on the Islay Pictures photoblog on Saturday morning. Think for Sunday I'll move on a bit further east again, provided I can find an equivalent picture and I haven't posted it previously. Until then, have a great weekend!